Gardeners & Tree Surgery Clapham North SW4 | RDA Cleaning & Maintenance Ltd. If you have a great patio in your property, you are lucky. A garden can make the leisure time at home more pleasant and even healthy - outside at the fresh air it is so beneficial to relax! But to take those benefits of your garden, proper care is necessary. Remodel your garden area without even a single effort! Make it the outdoor paradise of your home simply and on a budget. We can offer you a great bunch of modern and competitive gardening services in Clapham North SW4 on a budget! Our professional gardening company is a smart solution for the perfect and effortless exterior space. A team of two gardeners in Clapham North SW4 arrive at your location. Once there they will inspect the actual condition of your garden. After this, they will listen to what precisely the customer requires them to do. Then our professionals will discuss every detail of the service with the customer. They will suggest the proper means to deal with the problems in his garden, how much hours it is going to take and at what price it is going to be. If they both agree on the terms then it is possible for our gardeners to start right away. 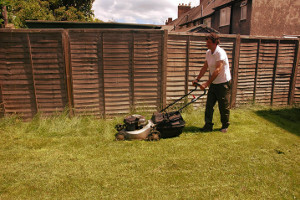 Why Entrust Our Garden Renovation & Maintenance SW4 Clapham North Services? We are flexible and can suit anyone`s personal or professional schedule. We have flexible booking slots and we work during weekends and national holidays, too. With no extra charging. Same-day and emergency reservations for our comprehensive garden maintenance & renovation services in Clapham North SW4 are always available for you. Keep in mind that we can provide the entire equipment. The gardeners are well-trained and prepared. They are gifted and responsible, they never leave a property with unfinished job! Order Top-Class Gardening in Clapham North SW4 Now! So if you wish to hire a professional gardening Clapham North SW4 company that will bring back the former glory of your garden, please call us at 020 3404 1646 or use our online booking form and we will be right on our way.